Enrollment is closed. Reserve your spot for Summer 2019. Become a certified Boot Camp instructor and earn up to 8 CECs, 100% online! Enrollment Ends Tomorrow. Save 30$ Now! Join SGT Ken®, six-time US Army Soldier of the Year and Master Fitness Trainer, for this one of a kind five-week 100% online certification. An Immersive Certification Experience - 100% Online! Receive a combination of online video, social and webinar instruction. Connect directly with SGT Ken® for questions, feedback and guidance. Engage and collaborate with peers through the private Facebook group. 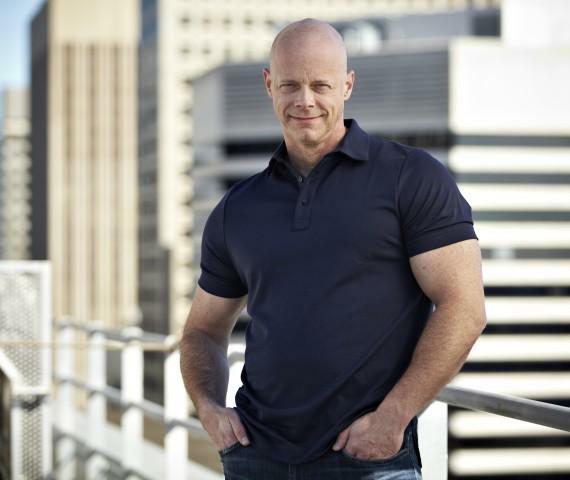 SGT Ken is an award-winning international speaker, six-time US Army Soldier of the Year, Master Fitness Trainer, Master Resilience Trainer, Counterintelligence Agent and decorated combat veteran. Ken has trained over one million Service Members and civilians through Operation Fit to Fight, and has written over 100 articles for GX®, Backpacker®, Outside®, Health®. Within the fitness industry, Ken has received several awards including the canfitpro 2011 Best New Presenter of the Year, the EMPOWER Fitness 2013 Male Presenter of the Year, the IDEA WORLD 2016 Fitness Instructor of the Year, the EMPOWER Fitness 2017 Inspiration Award of the Year and the canfitpro 2017 International Presenter of the Year. He has also been featured numerous times on ABC, CBS, NBC, and Fox news, and continues to serve as a host for the Fit for Duty show on the Pentagon Channel. Most recently, Ken was awarded his tenth Army Commendation Medal for creating the Warrior Fit Camp program for the Tennessee Army National Guard Suicide Prevention Task Force, helping thousands of Armed Service Members turn stress into opportunities through physical and emotional resiliency coaching and leadership training. Stephanie Weichert is a certified Life and Executive Coach, Strategic Interventionist, published author, speaker, strategic director for START Fitness® and business consultant. She has performed life coaching workshops for the Tennessee Army National Guard Warrior Fit Camp program, the Kentucky Army National Guard Operation Immersion course, Tennessee Army National Guard′s Children Attitude Motivation Program (CAMP), canfitpro and Empower Fitness Conferences. In addition to being a life coach, Stephanie is certified as a personal trainer through the National Academy of Sports Medicine (NASM), has a B.A. from San Francisco State University, and an MBA from King University. She has written for Military1.com, Military.com, Foundations, Hooah, Military Spouse and GX®: The National Guard Experience. Empowering you to be the best fitness boot camp instructor you can be. A: Open enrollment is a 2-week time frame before the first course opens. After the enrollment closes, the group will complete the course together. Q: When does enrollment open? A: Open enrollment begins Summer 2019. You will only be able to purchase the course and join this session if you register during this period. Q: Can I earn CECs/CEUs? 0.8 AASFP, 0.8 ACE, 8.0 ACSM, 0.8 ACTION, 8.0 AFAA, 8.0 AFPA, 8.0 CHEK, 8.0 CI, 8.0 IFPA, 8.0 ISSA, 0.8 ISTA, 0.8 NAFC, 0.8 NASM, 4.0 NCSF, 0.8 NESTA, 8.0 NETA, 1.75 NFPT, 8.0 NSPA, 8.0 PAI, 8.0 PTAG, 8.0 PTIA, 8.0 REPs UAE and 8.0 W.I.T.S. A. SGT Ken's Boot Camp™ Instructor Certification sometime in Summer of 2019. You will have access to all the content in the course on the start date, any live component (such as live Webinars) will be recorded and added to your online course once the live event has passed. Q. How much time should I set aside each week for the course? A. It should take about 1-2 hours a week. If you follow our suggested pacing guide, SGT Ken's Boot Camp™ Instructor Certification is a 5-week program. Q: What if I cannot keep up with the class? A: No problem! You can work at your own pace, so feel free to experience this on a timeline that works best for you. The material is yours to keep so it will not expire. We recommend you stay with the group to get the most out of the live lessons, instructor support and peer community. A: In order to be recognized as a certified Level 1 SGT Ken’s Boot Camp™ Instructor, you will need to complete the online course materials (videos, manual and webinars) as well as pass the online test (40-question, multiple-choice test). In addition, you will post lesson plans to the private Facebook group for real-time peer review and review by SGT Ken® and certified staff members.